I wrote about the joy of arriving in a town and discovering a programmed classical soirée in the local church or hall. To be held in the unique mirror chapel 17th century – Klementinum at 8 pm sharp with soloists of the State Opera as well as “top Czech Orchestras”! As the young shop assistants in Bakers Delight say with enthusiasm as you place your order… ” awesome”! Awesome indeed. I mentally noted the chapel location, intending to attend, and walked on, or rather was pushed along. 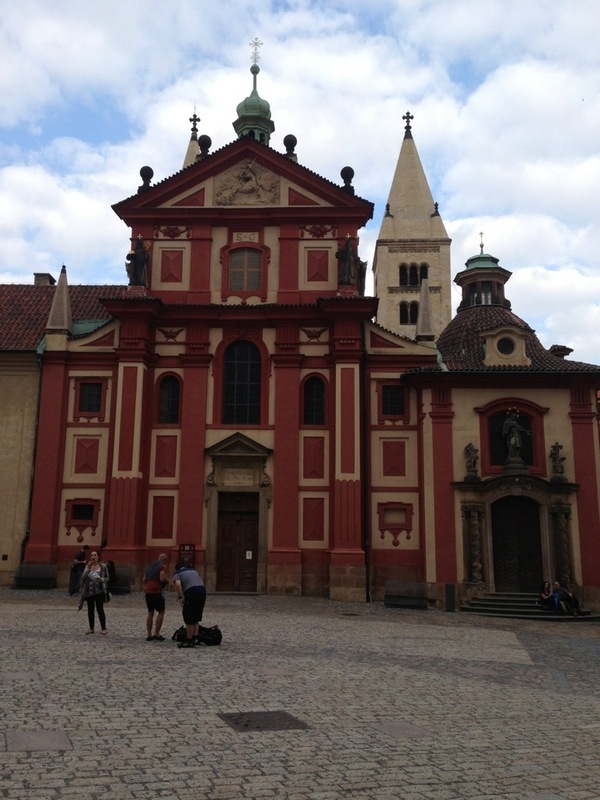 Truely I did a double take when around the corner was another Baroque church and, as Bach is my witness, another young man was just as earnestly, publicizing another concert in equally sumptuous surroundings again with various solo members of the Czech professional orchestras. By days end I had been accosted by at least another half a dozen concert touts. All these soirees seemed very genuine and professional held in medieval auditoriums, all I assume with perfect acoustics. All had slight variations in programming but in short, every one comprised selections from the “The best Baroque Classics of all times”. All instantly recognizable. I confess to a niggling sense of unease. 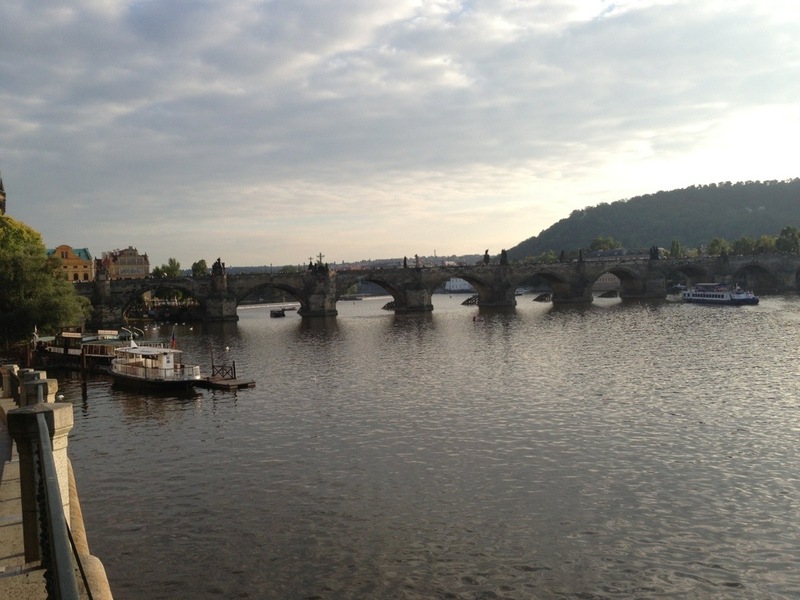 I calculated that if all these advertised Baroque classical concerts were consummated on this one evening, should perchance there be a competing professional symphony concert in the National Theatre, the Czech Philharmonic Orchestra ensemble would be decimated to a level of the village band! 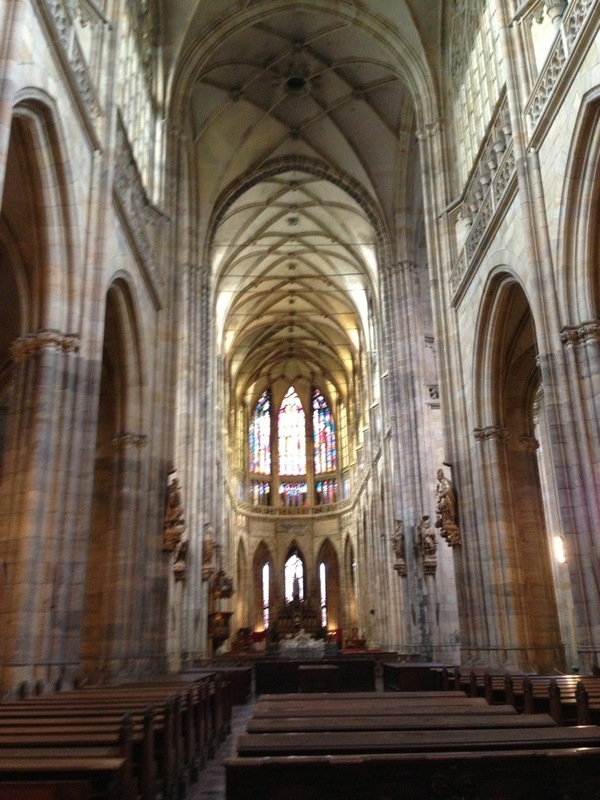 Inside the cathedral of St Vitus – patron saint of dancers. 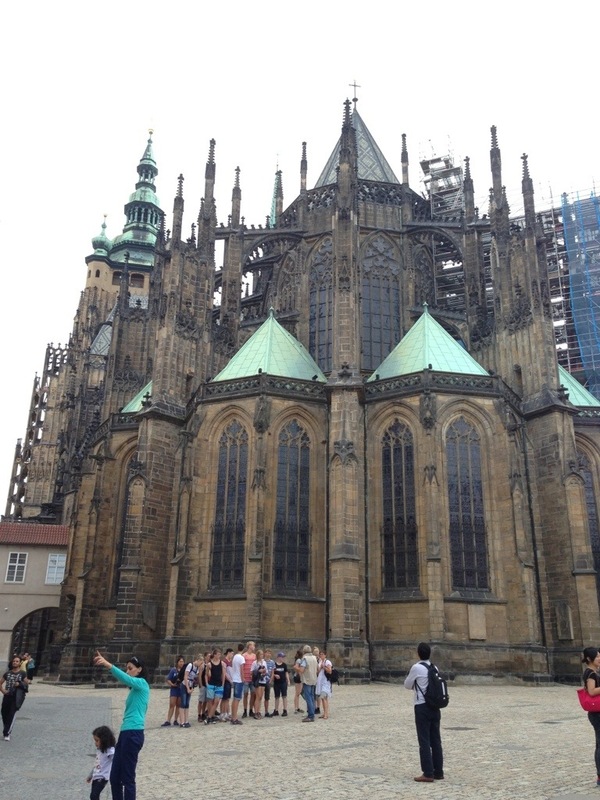 The back of St Vitus cathedral – the bishop who ordered its construction specified it had to be grand and surpass that at Notre Dame. One can see the similarity!